Thank you so much for being part of our team & for promoting permaculture and regenerative living!! I’m so excited for you all to participate in what many have called their favorite and my best course! I hope we can work together for a long time and change the world everyday! 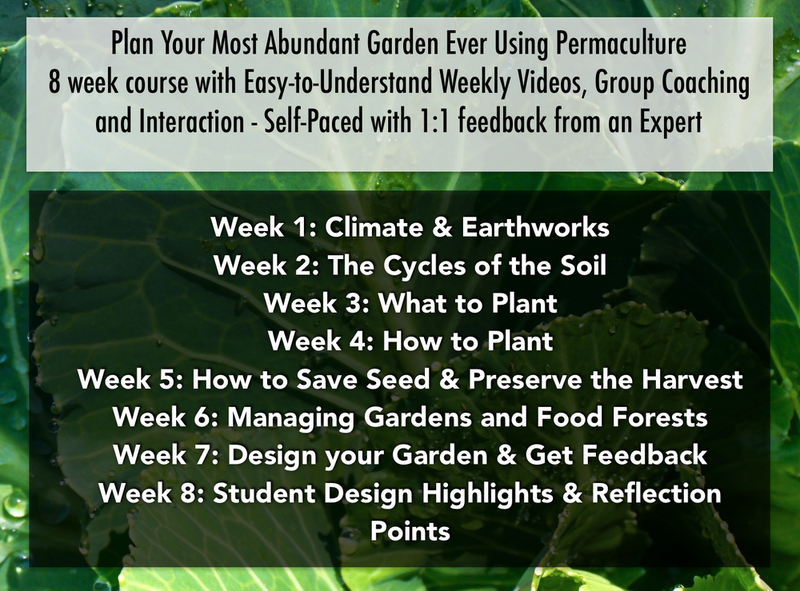 We are going to be using a Mini-Course to bring value, educate, and invite new students regularly to Permaculture Gardening. I’m sharing the entire course in downloadable form for all my affiliates to utilize, host the course themselves, and build their own list as they generate affiliate sales. The 4 course videos that follow after the invitation are NOT for social media - they are for Exclusive Viewing/Sharing ONLY. If they are on social media, then they lose their effectiveness and value. You can send people directly to those videos from email. The course videos do not have links on them to any sales pages, so no worries there. (The invitation videos do have links in their descriptions to my signup page, so download those and use your own links instead). The emails pair with the videos - you can copy&paste, adapt, or write your own, but those are the emails I’m sending out with those videos, so keep that in mind. You may not want to use them verbatim. THANK YOU SO MUCH FOR BEING PART OF OUR TEAM!! I will be opening up more and more affiliate products and programs in 2019, so stay tuned!! Do You Want Your Best Garden? What INCREDIBLE Gardening Tips & Insights? Having Gardening Problems? This Is For You!! Find The Solutions FAST!! The idea here is to use these emails as inspiration and copy/paste, and the links don’t work because I want you to use your own links. I'm so excited that you have joined us for Your Best Garden - the new mini-course! Don't miss our very first video because it is foundational to everything we'll learn after - it's all about SOIL!! Imagine dark, rich soils teeming with beneficial soil life that unlock the greatest potential for plant growth - the smell, the color, the structure, and the way it crumbles. It can be yours - you can have AMAZING SOIL! P.S. 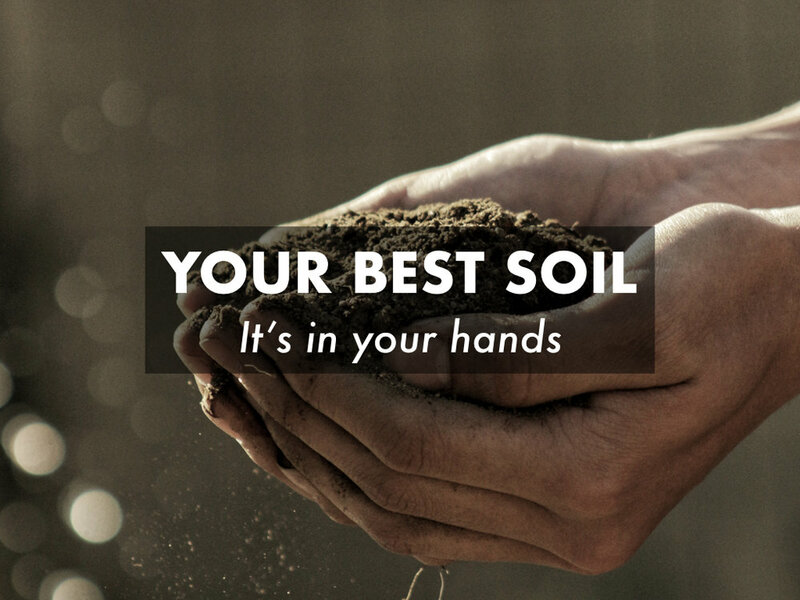 If you think soil is nothing but dirt, you especially need to watch this video. It's the key in so many ways. It can save you money, time, and so much effort: get down and dirty and see what it's all about (click here). We all want the best food, but HOW to go about it? Many of us try to eat organic, but is there anything better? What if I told you: You Can't Buy The Best Food. The people that have it, won't sell it, or if they do, there's a waiting list that only seems to grow longer with each season. Sometimes they're certified organic, often not. If it can be bought, the best foods are usually incredibly expensive. The only way to affordably access the best food possible is to grow it yourself. Surprisingly easy, rewarding, and meaningful, growing food following permaculture design and management practices yields an ever increasing abundance and diversity, but what makes it best? What makes other foods less desirable? Imagine yourself eating the best food for a long period of time. Your body is now completely replaced with a new body comprised of the nutrition your digestion released from those best foods. You ARE those best foods! What did you eat? How do you feel? What do you feel capable of with this new body? If you want the best food possible, you want the best life possible, and food is what we use to constantly regenerate the vehicle we use to accomplish our dreams and desires: our bodies! CLICK HERE & Watch Vegetables Made Easy & Learn More!! It has been said that if you control the food, you control the people, but it has also been said that if you control the seed, you control all life. While currently it is legal to patent seeds and other living things, it was considered immoral until the early 1980s, and flies in the face of what seeds represent and their history. Seeds are our collective heritage - all our families participated. Each family developed their own varieties in a rich tapestry of seed saving and plant breeding spanning across the globe for hundreds and perhaps thousands of generations. This is not something any one company can claim or own. They are also not something we want to control or to make static enough to patent: we want our seeds adaptive, resilient, highly nutritious, and vigorous. We want our seeds to evolve, to progress, and to evolve with us and the environment around us. Those are the kind of seeds our ancestors grew and saved. It's time we bring that tradition back. Imagine yourself holding in your hands the only seeds of that variety in existence - you grew them, bred them, and have fostered them to perfection. In your hands, you hold something incredible, exciting, and NEW! What color is it? What does it feel like? What does it grow? What does the fruit, seed, or leaf taste like? Can you see it growing? Can you feel the seeds in your hand? It's time to make it real! Have you been enjoying the videos? We've gone full circle, haven't we? Soil to Vegetable to Seed - Now What?? How do we put it all together and make it not only into a picture of what we want, but a holistic picture of it over time? How do we find balance and flow with all that information? Learn About the Next Step - Putting It All Together! Imagine yourself in the middle of your garden in the peak of summer surrounded by a peaceful symphony of buzzing, chirping, and rustling living things. There is ripening food nearly everywhere the eyes come to rest. Vibrant, eye-popping color peaks out among the mass of unending shades of green. You can smell a ripe cantaloupe somewhere in the underbrush. A soft breeze carries the smell of strawberries in the sun. What does it look like? How do you feel? "One of the best classes I've ever taken. It met my expectations & more!" "Matt Powers is an excellent teacher/instructor and takes time to answer all your questions. This course is full of life-changing information!!" Food shortages, food recalls, and crop failures are all increasing, it is becoming crystal clear that home gardening is the only reliable source of food in trying times. It has been in the not-so-distant past, and it will be in the future! Learning gardening skills may not seem important now, but they will be recognized for what they are soon enough: life saving and world changing. I hope you join us in this very special gardening course that connects it all!! You Deserve an AMAZING Garden Join Permaculture Gardening! There never seems to be enough time once those frosts start getting lighter! Soon there'll be no frosts and the seeds will need to be in the ground! Plan for your best season ever before it is too late - it seems like spring comes sooner every year. I hope you've enjoyed the free mini-course!!! If this is the first email you’re seeing, don’t worry it’s not too late (yet…) so let’s get you caught up on what you missed. I believe everyone should have access to the best food, but that implies that we all should be gardening, but for many of us that seems impossible, or at least, intimidating. In my course, we break it down into easy steps with guides, lists, frameworks, and formulas. You can do this! All good things must come to a close...and the off season's cozy planning time will come to an end sooner than later because Spring is Coming!! 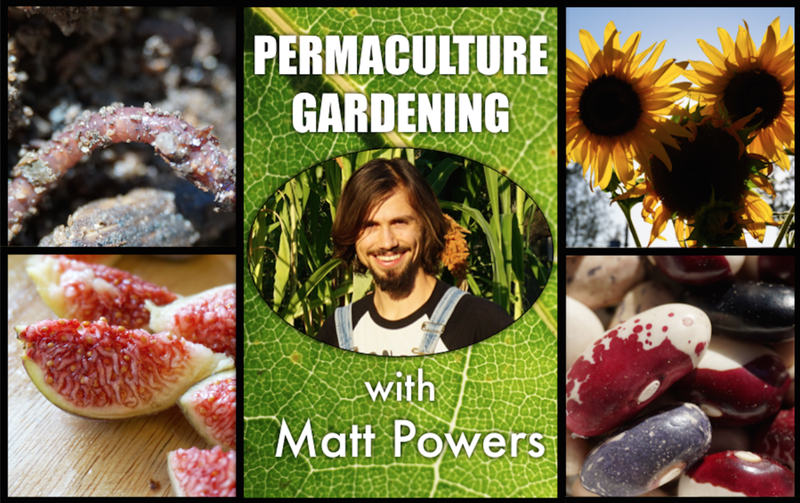 Last Call - Join Permaculture Gardening Today!! This is an incredible 8 week course that can help your garden anytime of year - find the time to make it happen for you and your garden this year!! Want to rewatch or catch any of the videos from Your Best Garden, you can!! There's still time to join us - you can grow your best garden! My first permaculture garden was my best ever at the time, and I ended up ripping out my old garden midseason, replanting it, and harvesting a bigger abundance than I'd ever received from my garden. It was MIRACULOUS! I want you to have that same miracle in your soil, seed, and soul: permaculture gardening is life-changing for a reason!! Unlock Your Best Garden with Permaculture - SignUp Today!! P.S. If you are in the middle of your growing season, you can join us too: it's lifetime access to the materials, and for some of us, we prefer to have feedback while we are in action. If this is you, click here and join us too!! "This class is amazing. I love the combo of discussion and videos and 1:1 help from someone who knows by study and experience (not just has an opinion.)" "We are loving the teachings and course so far. They are a constant talking piece throughout our week - with family and friends. We are telling a lot of people about you Matt!! You truly are an inspiration."